A modern day family becomes bored with the hassles of the city life in Los Angeles and moves to the Rocky Mountains to start a new journey together in the Lionsgate Home Entertainment release of Adventures Of The Wilderness Family Triple Feature arriving on DVD October 7th. All three films are currently available in stunning High Definition on Digital HD and Video on Demand. Endorsed by the Dove Foundation as “Family Approved,” this timeless G-rated film speaks to the heart of family togetherness. Join the Robinson family as they embark on suspenseful, exhilarating adventures in the timeless three-movie collection, Adventures Of The Wilderness Family Triple Feature. ADVENTURES OF THE WILDERNESS FAMILY: Skip Robinson and his wife Pat, along with their two children, Jenny and Toby, begin an incredible encounter with nature. After building a log cabin in a peaceful mountainous area, the family befriends a pair of bear cubs and is menaced by a ferocious grizzly. 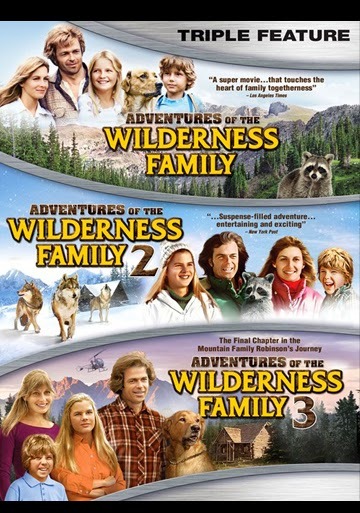 Share all the excitement with your family by collecting the first movie in the Wilderness Family trilogy. 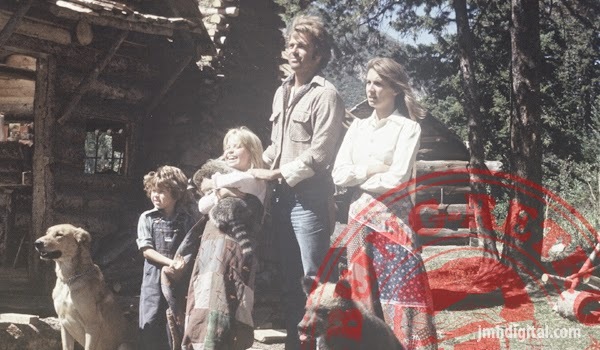 ADVENTURES OF THE WILDERNESS FAMILY 2: This heart-pounding sequel continues the saga of the family who chose to live in their peaceful log cabin home in the Rockies over fast-paced big-city life. They now face terrifying times in fierce winter storms, an avalanche and being attacked by a ferocious pack of hungry wolves. Watch as America’s favorite family stands strong together to prove that the best things in life are really free. ADVENTURES OF THE WILDERNESS FAMILY 3: In the final chapter, the Robinson family now faces the bureaucracy of the United States Forest Service. Set against the glorious wilderness background that only nature could create, the entire family must stand firm in their commitment to keep their Rocky Mountains home. Will a strange twist of fate and an old mountain prospector help the Mountain Family Robinson? I was just thinking about this family, couldn't remember how many films there were and now it's been answered.